What if you don’t pay your credit card bills? These are difficult times for our economy. Each one of us is feeling the pinch due to increased cost of living. It is getting very difficult to make ends meet. In difficult times like this it is very easy to amass a huge credit card debt. It can happen to anyone. Even to people who have been financially responsible. “Can I just don’t pay my credit card bills?” is the question many individual ask themselves and friends. This option is very much there. It also will give you some extra cash for few months ahead. But following are few of major problems you can get yourself into if you stop paying your credit card’s monthly payments. This is most scary part of Credit Card Game. Credit Card Companies will constantly call you and demand their money back. Collectors may call you 5 - 7 times a day. They will call you at home, They will call you at work and they will call you on your mobile phone too. There have been some reports that collection agents have been calling bosses, co-workers, and family members (which amounts to harassment and is not legal). They go to any length to get you on phone and when they get you on phone they use a lot of psychological techniques to lure you into giving them checking account numbers and other banking information. They will use every trick to make you pay. One of the well known methods is that they intimidate and threaten you by telling you that they will take your house, car etc. Or they will bring police to your home. all this can be very stressful on some people. You will also start getting letters in the mail from them that may eventually turn more demanding. Don’t get intimidated by them, Know your rights and report any violations to police and seek help. Most of the credit cards are unsecured so no one can take your car, house, furniture, etc. Worst thing these credit card companies can do is… they can really damage your credit score. If you go 30 days past the due date on any of your credit cards, these credit card companies normally report this to Central Credit Bureaus so these missed payments are likely show up in your credit report and this has a terrible impact on the credit score. Companies, almost all of them will increase their interest rate and future loans may either be refused or available to you at very high costs. A Bad Credit Score is not good. Anytime you apply for a job, home loan, school loan, car loan, car insurance, They do take a look at your credit score. If you are really in very bad crunch. consider bankruptcy as an option. After some time, usually 7 years, it’s all clean and neat again. Once you start missing your credit card payments, most of the credit card companies start charging “Default Rate”. That is normally highest possible interest rate, about 30%(Check the fine print on your credit card Application form or Disclosure on your Credit Card company’s web site). They also start charging late fee penalties ranging between $20-60. if your balance exceeds the credit limit, which normally does, there will also be an over-limit fee which would be charged on daily basis. I would recommend that you contact each of your credit card companies and ask to have your credit card account closed. This action will stop interest from accruing i.e multiplying. They will tell you that they can decrease your interest rate or they can allow you to make a very minimal monthly payment. some even offer a $3 per month payment plans but this is rarely more than a trap. You will only end up throwing money away as you will only be paying the interest payments and a debt will continue to grow. They will eventually close the account themselves anyway. So it is in your best interest that you do it yourself as it will save you some(depending on your balance $100 to $10,000) money at the end. Ask for a final bill from your credit card company and when you receive that then just try to pay a certain amount on each bill if possible but I recommend that put them aside and concentrate on your mortgage and other liabilities like car payments, children education. Once you start earning more income, you can either try to pay off the balances of the closed accounts little by little. If you can arrange some extra cash at the end you can also contact each credit card company directly and make them an offer to pay a certain percentage of the balance owed i.e 20% to 50% (think about your offer before you call them). If you choose to do this, stay firm on your offer and document everything. Do not send any payment to them until they send you something in writing that they will mark the account paid in full (keep all documentation and proof of payment). Most Credit Card companies will accept this because they feel that something is better than nothing. They might also make a counter offer but stay firm and tell them that it’s all you can afford. If they say “No” than don’t worry and say “thank you very much” and move on to the next credit card company. It is most likely they will call you up to accept the offer. It is also a very good idea to consolidate your debt on one credit card account and then make minimum payments. Eventually, if a credit card debt becomes very delinquent, Credit Card companies might take legal action course which can result in liens, garnished wages or any other legal judgements requiring you to pay your debt. However, credit card companies would normally try to avoid this situation because this is a very long, complicated and expensive process. But nevertheless, legal action does happen. 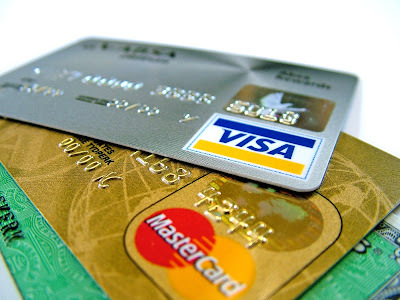 Just to debunk a myth, credit card companies generally do not freeze bank accounts. They would first need to have a court judgement against you. This whole process costs them money and it is rarely done by credit card companies. So, don’t worry, no body can put you behind bar, take away everything from you.. there is always help available. don’t worry.